Kapuso power couple, Jennylyn Mercado and Dennis Trillo are among the stars in the guest list of the much anticipated wedding of celebrity doctor Vicki Belo and long time partner Hayden Kho in Paris as confirmed by the official Instagram account of Belo Medical Group. So when can we expect wedding bells also for the lovely Kapuso couple? We're hoping in the near future. No pressure, Dennis and Jennylyn. Best wishes Dra. Vicki Belo and Hayden Kho! Today, August 30 2017 marks Mommy Lydia's first birthday in heaven. Mommy Lydia past away not more than a year ago. 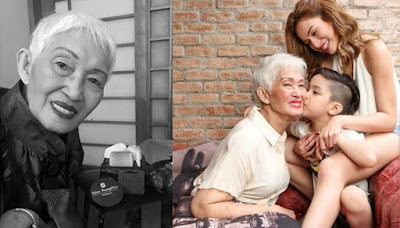 Loving daughter, Jennylyn Mercado shared a photo of her Mommy Lydia on her Instagram account wishing her a happy birthday. Jennylyn also sent her love and expressed how much she misses her mom. The Philippine Association of the Record Industry has finally unveiled the nominees for the 30th Awit Awards and our very own Jennylyn Mercado is among the few who have earned multiple nominations from the said award giving body. Jennylyn is nominated in five categories namely Best Performance by a Female Recording Artist for Hagdan; Best Inspirational Recording also for Hagdan; Best Christmas Recording for Nakaraang Pasko; Best Cover Art for Ultimate; and Music Video of the Year for Hagdan. Hagdan and Nakaraang Pasko are tracks from Jennylyn's Gold Record album 'Ultimate' under Ivory Music and Video. 'Ultimate' is still available in all leading record bars and music stores nationwide and is also available for download and streaming across digital stores and streaming services worldwide. 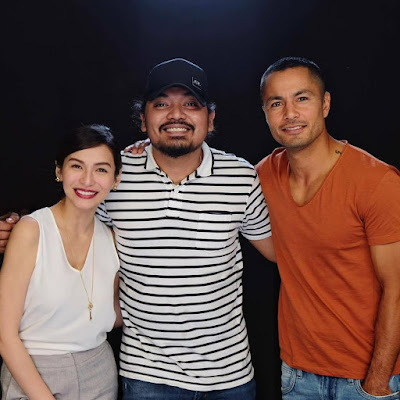 Cameras have started rolling for the much anticipated follow up project of Jennylyn Mercado and Derek Ramsey, 'Almost Is Not Enough' under the helm of Direk Dan Villegas who also directed the multi-awarded and MMFF 2014 sleeper hit English Only, Please. If you loved Jennylyn and Derek as Tere and Julian in English Only, Please, then 'Almost Is Not Enough' is another movie you should watch out for this December. This time with Jennylyn and Derek as Gabby and Gab. An official entry to the 2017 Metro Manila Film Festival, 'Almost Is Not Enough' opens Christmas Day in cinemas nationwide. 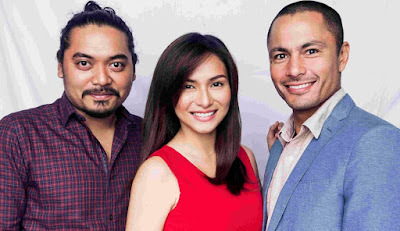 The English Only, Please trio returns to the big screen as Jennylyn Mercado and Derek Ramsay reunite with their director Dan Villegas for another film entitled 'Almost Is Not Enough', an official entry to the 2017 Metro Manila Film Festival. Jennylyn and Derek will play the roles of Gabby and Gab respectively in a new romantic drama which will surely capture your hearts on Christmas Day. Jericho Rosales was initially confirmed for the role of Gab but was replaced by Derek Ramsay due to conflicts in schedule. Nevertheless, Jennylyn and Derek has proven to have exemplary chemistry base on their hit and multi-awarded film English Only, Please. 'Almost Is Not Enough' is surely something moviegoers should look forward to this coming December 25. Being a single parent is one of the toughest things and we laud Jennylyn for being able to balance it all -- being a working mom and loving single mother to Alex Jazz. Today, August 19, 2017, Jennylyn Mercado's son Alex Jazz is celebrating his 9th birthday. On the Ultimate Star's Instagram account, she shares an adorable photo of her and son Alex Jazz captioned with a short but sweet birthday message. Check out Jennylyn's Instagram post below. Happy Birthday Jazz! Ultimate Star Jennylyn Mercado is set to reunite with former love team Mark Herras for a special episode of 'Dear Uge'. Jennylyn and Mark's last project together was Rhodora X back in 2014. Also spotted on the set of 'Dear Uge' is Dion Ignacio, a fellow Starstruck batch mate of Jennylyn and Mark. Jennylyn and Mark's special episode of 'Dear Uge' is expected to air on August 27, 2017, Sunday right after Sunday Pinasaya. Watch out for it! 'My Love From The Star' just ended its run last Friday, August 11, 2017 but if you are already missing seeing the Pinay Steffi on the small screen, then here's something you should look forward to. Jennylyn Mercado is set to appear on a special episode of 'Daig Kayo Ng Lola Ko' this Sunday, 8PM where she will be playing two roles, Sheena and Mina. Here's a photo of Jennylyn on the set of 'Daig Kayo ng Lola Ko' shared by Direk Rico Gutierrez. Jennylyn Mercado will be reuniting with her English Only, Please leading man Derek Ramsey for a new romantic drama titled 'Almost Is Not Enough'. This also marks their reunion with Direk Dan Villegas who also directed their MMFF 2014 multi-awarded and box office hit, English Only, Please. 'Almost Is Not Enough' is an official entry to the 2017 Metro Manila Film Festival showing on Christmas Day. As early as now, fans are already excited to see Jennylyn and Derek together once again on the big screen. 'Almost Is Not Enough' would have reunited Jennylyn Mercado and her #WalangForever leading man Jericho Rosales but things did not work out due to conflict of schedule. 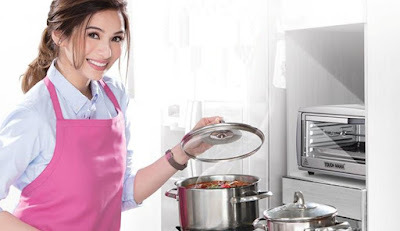 Proud Tough Mama, Jennylyn Mercado makes sure she only uses the toughest appliance especially when it comes to her kitchen needs. Tough Mama's elegant and durable Glass Hob Gas Stove has been her trusted partner when cooking for her family. Not only is it affordable, Tough Mama's Glass Hob Gas Stove has bigger burners for faster cooking, explosion proof panel, and thicker trivet for heavy duty cooking. So what are you waiting for? Upgrade to Tough Mama now! Tough Mama is available in all leading appliance stores nationwide. Busy is the word how Jennylyn Mercado described the last days of tapings for 'My Love From The Star' that they did not have the time to feel sad about the show ending very soon. She also revealed that the 'My Love From The Star' family alloted a day for a small get together and celebrate the culmination of the show they've worked so hard for. Meanwhile, Gil Cuerva is excited for the fans to see what will happen to his character Matteo. Meanwhile, The Pinay Steffi will be jumping from one project to another as she will start working on her Metro Manila Film Festival entry 'Almost Is Not Enough' alongside Derek Ramsay as soon as her prime time series end. On the other hand, Gil will be focused on acting workshops to further hone his acting skills. The lead stars of 'My Love From The Star' Jennylyn Mercado and Gil Cuerva visited the set of Eat Bulaga to promote the final week of their show. The Pinoy Steffi and Matteo took part in the segment Jackpot En Poy where Jennylyn was one of the the tech judges while Gil played as one of the celebrity contestants. 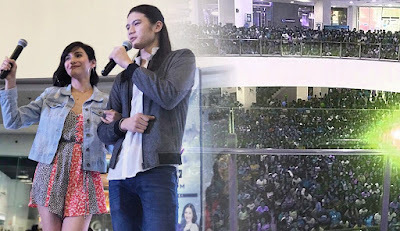 The cast of the local adaptation of 'My Love From The Star' lead by Jennylyn Mercado and Gil Cuerva brought joy to their fans in Bulacan, Sunday afternoon. The venue was jam packed as thousands of fans flocked to see the Pinoy Steffi and Matteo. Also present were Migo Adecer and Annalyn Barro. Check out some photos from the very successful event below. Also, don't miss the last 5 episodes of 'My Love From The Star' starting tonight, August 7, 2017. 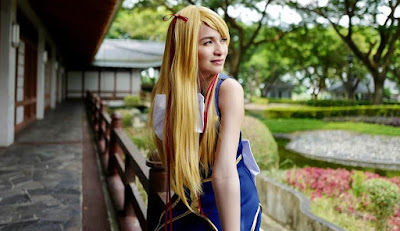 The Pinay Steffi marked another milestone as she reaches 2 million followers on Instagram. 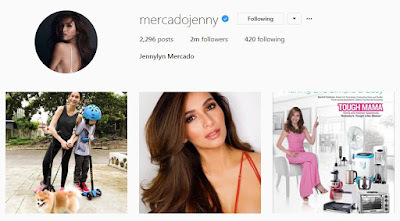 Jennylyn Mercado is among a handful of celebrities who has a multi-million following on social media. Aside from her multiple product endorsements, Jennylyn also shares precious family moments, gorgeous selfies, workout sessions, travel posts, and her projects on TV and film on her Instagram page. Follow @mercadojenny to stay up to date with Jennylyn! Congratulations Jennylyn! Through Sunday Pinasaya's Facebook Live, The lead stars of 'My Love From The Star' Jennylyn Mercado and Gil Cuerva invite Kapuso viewers to support the final week of their prime time series. Directed by the one and only Bb. Joyce Bernal, don't miss the last 5 episodes of 'My Love From The Star' on GMA Telebabad right after Mulawin Vs. Ravena. 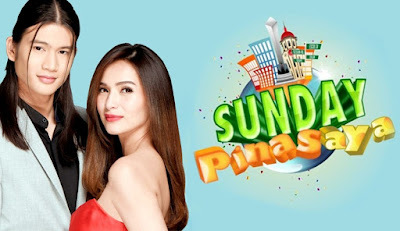 Catch the lead stars of 'My Love From The Star' Jennylyn Mercado and Gil Cuerva this Sunday, August 6, 2017 on Sunday Pinasaya as they promote the finale week of their well-loved prime time series. The Pinoy Steffi and Matteo will be joining the fun cast of Sunday Pinasaya in a comedy skit titled Balikbayan Bex. Watch out for this! Patrick Garcia's wife Nikka shared a heartwarming family photo of the Garcia Family together with the Mercado Family on her Instagram account. 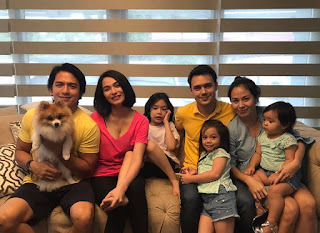 In the photo are Jennylyn and Jazz, Patrick and Nikka with their daughters Michelle and Patrice, Puppy Conor and Dennis Trillo. Shot at Jennylyn's home, it is just so wonderful to see both families together. 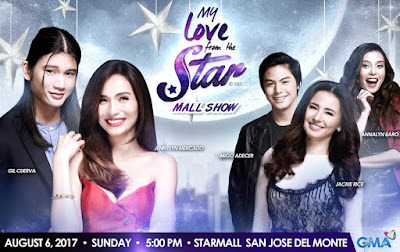 It's going to be one starry afternoon as the cast of 'My Love From The Star' lead by Jennylyn Mercado and Gil Cuerva will be coming to Star Mall San Jose del Monte this Sunday, August 6, 2017, 5PM. Avon Philippines ambassadors Jennylyn Mercado, Jodi Sta. Maria, and Ruffa Gutierrez share their stories of how they rose above it all and become the empowered women they are today.